Guest Post: Planning on moving? Maybe it’s time to ‘get ruthless’! So you’ve decided to move. You know when and where you are moving. You know how. All you need is to pack and then hire a removal company to take it all away. But there’s an extra step you can complete before you call for the removals company, its one I like to call ‘get ruthless’. I used to live in central London. When I moved there, it was all a bit of a rush. I had no time to shop around for removal quotes so I hired the first removals company that could fit me in to their time schedule. They piled all my things in to the back of a huge moving truck, and drove the 40 mile-journey to London. The trouble was that my new flat was much smaller than my old flat. Once the removal guys had dropped all the boxes off at my new flat, I could barely move. I looked around and thought to myself ‘where has all this come from?’ I don’t remember having so much stuff. Whilst unpacking it all, I realised that half of it was junk. I could have put about 50% of it back in the removal van, and asked them to drive it straight to the dump. Instead of chucking it all in the bin, I found a place for everything. I unpacked it all and forgot about it until I came to move again. Luckily, this time I had more time to think about it. I had time before I needed to hire a removals company. So I used this time to get ruthless. I went through all of my things meticulously, thoroughly scrutinising my need for every item. I’m no hoarder, but the amount of useless junk I had accumulated over the years was farcical. I wasn’t proud of it, but I was proud to be doing something about it. I even decided to lose an entire sofa. Some charities and furniture removal companies will even take some furniture away for you for free. And in some parts of London the council will come and remove it for free the next day. It’s worth looking into if you have larger items you need moving. I started to wonder why I hadn’t done this before. The best part of the story is that once I had finished, I was able to make a great saving in terms of removal costs, as I was now fit all my things into one single van. I called a man with a van removal service, shoved it all in and drove to my new home and unpacked without that question ‘where did this come from?’ ringing in my ear. So if you’re looking to move, why not use it as the perfect excuse to get ruthless. Do you have two or more of the same thing when you only really need one? Do you need all this furniture? Does it have any function? Do I really need 6 back-up duvets? Really think long and hard about everything you own, and get rid of it if you don’t need it. Also, have you been thinking of getting a new bed but have been waiting for the right time? Why not use this as an excuse? Get rid of your old bed now, and get a new one as soon as you move in. I know it’s hard to get rid of things, you never know when you might need it, right? But be honest, will you ever need it? Don’t get emotional, get ruthless! And save yourself time, hassle and money both now and in the long run. Moving home can be an exciting time for anyone. However, if you speak to anyone who has moved home you may find that the joys of being somewhere new and starting the next chapter of your life can be ruined if you hurt yourself whilst trying to re-locate years’ worth of accumulated possession. There are many little tips and tricks you can follow to reduce the risk of bad backs and achy arms so that you can settle in to your new home pain free. Starting early is the key to any home move. The task will always be bigger and more time consuming than you expect, regardless of how well organised you are or how much you’ve planned it out. If you start early you minimise the risk of panic packing last minute which often results in over filled boxes. Rushing to get everything packed and loaded frequently ends in little concern being taken when lifting and carrying boxes and this can take its toll on your body. Start early, pack smart and minimise the last minute rush! When moving home it’s a case of less is best when sorting through clothes and household items but this is not the attitude you should take when it comes to the boxes you’ll be using when you move. Whether you get them from a supermarket, recycle gadget boxes or buy them from a packing firm it is always best to over-prepare. That way you minimise the temptation to over-fill boxes if you run out and thus reducing the weight of each individual box. If you have a lot of heavy items such as kitchen ware and books you’ll need more boxes to spread the weight. It’s always best to get a variety of different sized boxes as it allows you to use the larger boxes for lighter more bulky items leaving the smaller boxes for heavier items therefore making sure they aren’t too heavy to lift. If you are on a tight budget many packing box companies offer to buy back any unused boxes you have bought from them. A key trick to helping minimise bulk and weight is utilising any luggage you already have. Suitcases take up a lot of space however the ones with wheels are a great solution when it comes to packing up heavier items. Due to the shape they are perfect for books, DVDs and picture frames. The wheels mean they are easy to transport even when heavy. However, make sure you can still lift them safely so that getting them in and out of the van isn’t dangerous. Books and papers are heavy when in bulk lots and because they fit so well in to boxes they are one of the most common items that people over pack. If you are worried about the weight of your boxes or struggling to find enough boxes to pack your items in, leave the books out and bundle them. By tying them together with string you can keep them in manageable, easy to lift chunks, therefore minimising the risk to your back when loading and unloading. Bundling them with string also means it’s easier to locate a specific book once you’ve moved as they aren’t hidden away in a sea of brown cardboard. This is especially useful when packing important work or study books and papers as it minimises the need to rummage through boxes cursing when you realise you need a book or document. When a business in Chelsea or any part of London needs to have the use of a vehicle for any given reason, they could own one. However, the cost of owning a vehicle is considerably more than renting it. A business will have to tax it and also get insurance for it. A business might also have to pay high insurance premiums if they haven’t owned a van before. This is because an insurance company might view a business as being a risk because they have no experience of driving this type of vehicle. The cost of renting a vehicle is far less when compared to owning it. This is because all that has to be paid is what is quoted by a removal company. You don’t have to pay insurance or road tax because a removal company is responsible for doing so. The cost of hiring a man and van in Chelsea can also be much lower if it is rented for a short period of time. Some removal companies can provide a vehicle for an hour or an entire afternoon. By knowing how long a vehicle is required for, you can save a lot of money. For example, if you believe that a vehicle is needed for twenty four hours but is actually required for an entire business day, more money will be spent. To keep costs down, you should know how long you need to have full use of a removal vehicle for. There are other ways which can help with reducing costs, such as getting packing boxes yourself. Although they can be bought, you could use what you own already. By sorting through the containers which are in a warehouse, items could be moved into a solitary box so that you have plenty spare. If dozens of boxes are required, you can save a lot of money by utilising the items which are in your premises. If boxes are required, a removal company could provide them for a modest fee. When boxes are purchased, they will have to be stored in a warehouse. If you don’t want empty boxes in a warehouse, renting them from a removal company is very convenient. This is because they can be returned once they have been used. If you don’t have a lot of free time, a removal company can help with packing. There are many packers & movers in Chelsea which have extensive experience of doing so. Without their help, you could waste the space which is in the boxes you’ve collected for moving items. They could offer tips and guidance on what can be put into a solitary box. Once boxes have been packed, a removal company can put them onto a vehicle. If boxes need to be moved to other premises which your business owns or delivered to customers, it can take a while to do if there are many of them. However, a removal company can provide not just a vehicle but also staff too. Therefore, it won’t take long to move many boxes because they will be lifted into a van by other people than yourself. Boxes will also be lifted safely. As removal professionals are trained in how to lift boxes without causing injury, no damage will be inflicted on your premises. When large boxes are lifted, you could damage walls after knocking boxes into them. As removal professionals have helped other clients before, little or no damage at all will be caused even when heavy boxes are lifted. Guest Post: Why Self Storage? Beatle mania exploded in the USA in the 1960s – the same decade that self-storage units first achieved widespread recognition and popularity stateside. Whilst a passion for personal storage took longer to cross the Atlantic eastwards than the Fab Four did westwards, current trends indicate that the craze has invaded British shores, and is very much here to stay. There are currently over 800 self-storage centres in the UK, which is more than the rest of Europe put together. The lengths of time people use self-storage for are constantly increasing too; according to the UK Self Storage Association, self-storage facilities were rented for an average of 56 weeks by businesses, and 27 weeks by individuals, in 2013. There are many theories as to why self-storage is so popular. Some say it’s a testament to the hoarding habits of human beings. But society has always been home to hoarders, since time immemorial – in truth, the popularity of self-storage can be attributed to a number of different factors. For a start, self-storage solutions are tremendously useful when you’re moving house – and not just in the move itself. When estate agents show potential buyers round your home, it helps for there to be very little untidiness on display – if the dimensions of your home look as spacious and accommodating as possible, this can result in increased buyer interest, and higher offers being laid on the table. Furthermore, self-storage is a must if you’re a jetsetter, or constantly on the move. On the other hand, if you’re only temporarily departing your home (for instance, during a long summer holiday, or during renovation work), self-storage is also a vital solution. Whether you’re leaving Britain’s shores for work or pleasure, and whether you’re maintaining a base of your own whilst you’re away or not, having your treasured belongings in a safe, secure environment will ensure peace of mind on the road. If you’re emigrating for an extended period, or if you don’t need to access your possessions while they’re in storage, costs can be very low too, as long as you spring for a compact unit that’s replete with maximised vertical storage space, for stacking treasures high. If you’re not going away for long, or if you’ll need to retrieve items on return visits, renting a roomier storage space that offers scope for reorganisation makes more sense. In heavily peopled cities, where living spaces are often compact and pricey, self-storage can also be a vital extension of the home; much like a garden shed or loft conversion. 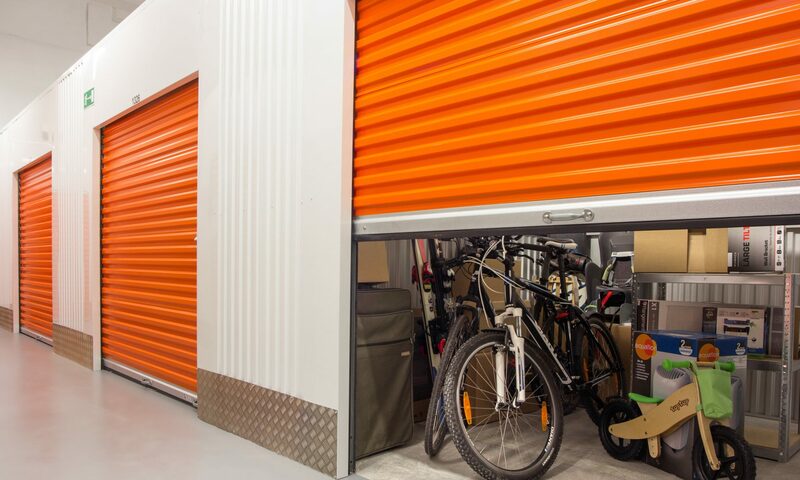 You can visit storage spaces at your leisure, the range of sizes available can cater for any number of individual needs, and the comprehensive security measures (such as 24 hour guards, CCTV and alarms) boasted by the best facilities mean you can always be sure your unit’s contents are both protected and monitored. The crème de la crème of self-storage providers will even be able to give you a quote for storage over the phone or online, ensuring you only pay for the space you need, and advising you on the most secure way to store your belongings. In conclusion, put simply, using self-storage is more than about practicality or functionality – it’s about ensuring peace of mind, and liberating yourself from the stresses and pressures of preserving possessions. With your valuables under lock and key, and with watchful eyes safeguarding them, you’re free to live your life how you choose, whether at home or abroad. “When one door of happiness closes, another opens,” said Helen Keller, and relocating with your children can be a new door of happiness for your entire family. Looking for a new home is stressful, especially after the trauma of divorce. Like any worthwhile endeavor, tackling it with a calm head and a motivated heart will help you and your family find the silver lining. Set a precedent right now by holding a meeting with your ex and the kids before you decide on where you’re going and where you’re staying. You need to start with a meeting for two reasons: first, because it’s simply a matter of doing right by your children and their other parent. Second, because when your ex is thinking of moving, they’re more likely to consider you if you considered them way back when. Establish this communication early on and stick to it. Don’t let the kids be the primary source of new information, talk it out as adults. Whether you’re searching for hip apartments on ForRent.com or in the market for a 10-bedroom mansion, don’t just throw your boxes in and shut down. Make the kids turn off their iPods and take the time to learn about the neighborhood. You don’t want your children to be stuck in self-imposed exile, and neither do you. Whether you or your ex have primary custody, show your kids the new place and talk to the ex about driving distances, schools and so on. Remember that the final decision is yours, and you have to do what makes you happy, but, part of that means taking your children into consideration, according to the moving experts at 123 Movers. This is a matter of both doing right by the people you care about and earning some goodwill so that your ex will do right by you. After a breakup, it’s surprising to discover just how much stuff you have that you just plain do not need. Take your move as an opportunity to rid yourself of all of that and start over fresh. Craigslist and eBay are both great ways to get rid of all the junk cluttering up your life, and thrift store donations are a fine way to get rid of everything that you can’t sell. It’s not just a matter of physically uncluttering your life, but uncluttering it emotionally as well. This is a new start, so treat it like one. It’s a hokey cliche, but don’t hang onto the past, look to the future. Finally, don’t let the weight of the move and the divorce crush you. Have fun, explore, meet new people, make new friends, pick up hobbies, find a new hangout. Don’t think of yourself as divorced, think of yourself as single. It may not sound like much of a difference but, in terms of your perception, it’s huge. You either see yourself as wounded, recovering from the end of love, or you see yourself as new, available and open to new experiences. It’s up to you. Aaron loves his kids, building things and running a small HVAC company out of his Midwest home. He sets his own hours and writes about a variety of topics for fun. The days of piling things you don’t need in the shed, garage or a barn are long gone. The creators of modern urban living conditions have gradually been claiming our secondary facilities in the search for greater luxury, efficiency and comfort. That process has stripped away our deeply rooted need to set something palpable aside for a rainy day. On the other hand, the label “consumer society” aptly shows us that spending and acquiring are among the driving forces in modern western culture. Incentives to spend as much as you can and a little bit more are all around us, which certainly contributes to the creation of various surpluses. People have never before been able to afford so much and never had so little space to store it in. From this disparity arose a new kind industry of storage space renting, accommodating the increasing demand for storing various just about anything imaginable. However, abovementioned factors had also set the stage for compulsive piling of more or less unnecessary things (see https://en.wikipedia.org/wiki/Compulsive_hoarding). So, before hitting yellow pages or googling “storage” followed by the name of your city, ask yourself: do you really need it? Or you just think it could come handy? 1) Am I really in need of extra storage space? Renting extra storage space (like the one Kennards Self Storage rents in Illawarra) may seem like a great idea during home redecoration and resettlement, but instead of blindly renting more than you need, it is wise to go through your things before renting and see if there are some unusable, broken, unnecessary ones, or if there are some things you might like to sell. This way you could see clearly how much extra space is really necessary, save some money on storage rental, and even make some extra cash. 2) What type of storage space is right for me? After determining the amount of space you need, the next step is to see what type of storage is suitable for our possessions. Assets like lawnmowers or tools usually kept in sheds can be placed in a plain container without particular extra care, but valuable goods like antique furniture should be protected from mold and dampness. These special conditions require storage space with controlled environmental conditions, and of course, this means a significant amount of money ought to be spent. 3) How often will I be accessing my belongings? This is an important question that often slips our minds when a great bargain is offered, but instead of renting a cheap storage space on a remote place, it would be wiser to consider the amount of time and gas you would spent while getting to our stored goods. If you need to access your things on a daily basis, it would be quite a hassle if you had to drive for two hours to the storage. This way the seemingly more expensive offer might turn out to be a cheaper alternative. 4) What exactly will I get for my money? Once you pick a rental company, it would be smart to require detailed information how their prices are formed and what is included. Since most home resettlements and redecorations are done during spring and summer it is not unusual for some companies to have higher prices during high-season. If these information are not specified on their website, you should ask and get informed about these details. 5) What are the characteristics of the storage space itself? The quality of storage space differs from one company to another, and if pictures of the compartments or containers are not readily available for potential leaseholders, a tour around the facility would be in order. All compartments should be isolated from one another so no interaction between two leaseholders’ belongings could happen (in case one leaseholder leaves food in his/hers compartment, pests like rodents or insects could contaminate other leaseholders property, too). Also, compartments should have only one access point which is under constant video-surveillance. This is done so the possibility of theft by outsiders, or even other leaseholders could be excluded. Most companies do not accept any liability for any damage or accident that could happen and it is important to get informed about insurance and refunds. Being aware of these conditions may help you avoid legal disputes in the future. After you have acquired all the necessary information about the company you have chosen, you should give some thought to the arrangement of your property. There are numerous online calculators that can help you determine the minimal space you will need (for example: http://www.selfstorage.com.au/calculator.php). By organizing all of your possessions carefully you make most of the space you rented and it will be easier to find whatever particular item you might be searching in the future. Moving house is a challenge – one of those life-changing events that require proper preparation and planning. Without a solid plan, no relocation can go smoothly. There are many tips for people on the move that can considerably reduce the stress and anxiety and ensure an easy transition from one place to another. Here are some of the best tips, summarized and listed in an order that is ready to use. Choose how you will move: You can only hire a moving truck and load it yourself, or you could hire a moving company and pay for additional services, such as packing and loading. Another way to move is by borrowing a van from a friend. There are many items that you can transport with your own vehicle too, but this would take a few trips which is much more time-consuming. Choose the approximate time: Unless you are moving for a specific job and you already have a deadline for the relocation, make sure you choose the most convenient time for the shift – in terms of season, weather, work, school of your children and other factors. Shop around for a removals company: The moving company that will assist you will more or less determine how smooth your entire relocation is. Talk to the agent, ask for a visit at your house and an approximate estimate for the whole job. Gather a few quotes from movers and then compare their services and recommendations. Gather packing supplies: You need sturdy cardboard boxes of various sizes for packing all your belongings, bubble wrap for wrapping fragile items, stretch wrap for furniture and electronics, packing tape for taping each box and the wrapped furniture, straps for securing the doors of cabinets and appliances, newspaper or plain paper for padding on the bottom of the boxes, markers for labeling the boxes, moving blankets for moving the heaviest furniture, a dolly or two for moving appliances and furniture pieces to the moving truck, specialty boxes for fragile items, artwork, mirrors, electronics and more. The packing material has to be quality to ensure the complete safety of your belongings. Call utility companies: If nobody will be using your house after you, call utility companies to cancel their services. Change your address: Issue an application for change of address and take care of bank statements and financial paperwork. Gather all documents: Collect all your certificates, records, financial documents and other important paperwork. Keep them somewhere safe and pack them for your own car. Communicate well: A house move is a big event for the whole family. Make sure that you communicate it properly with your children and spouse. It will take everyone some time to adapt to the new house, neighborhood and area. These simple moving tips will help you deal with the inevitable stress of the house move and ensure an easy shift.